Need an SEO Copywriter? And what’s so important about SEO copywriting anyway? 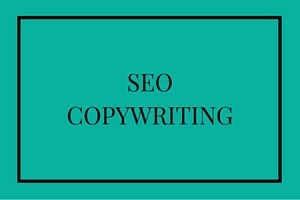 Writing SEO-friendly copy for your website requires a completely different approach to any other type of copywriting. It is not enough to simply tell your potential customers about your product or service, but you must also write in a way that tells the search engines. If Google (and Bing, and Yahoo…) don’t know what each page of your website is about, they won’t know to suggest your site when people are looking for the type of product or service that you offer. It’s just as easy to fall into the trap of having a website that is over optimised for keywords but doesn’t engage its visitors as it is to have one that sounds great but never shows up in the search results. SEO copywriting should be about creating a balance between what the search engines want, and what your online visitors want. I never write SEO copy for the search engines as a first draft; instead, I write natural copy that highlights your business – copy for your audience, not for Google. Once I have that though, I’m in the perfect position to conduct a second edit to make sure that Google loves it too. Of course, SEO copywriting is just the first step in your ongoing SEO campaign. Check out the other SEO services I can support you with too. What words do you want to appear for on Google? What words are your competitors appearing for? How difficult would it be to compete? Every single page on your website can draw people in from the search engines. The same level of care should be given to your whole site as it is to your homepage. I write content that both your readers and the search engines will love. I optimise the headings and body copy to include your keywords, but only ever in a natural sounding way. All content I write is unique, original and engaging. Once your copy has been written I go back and re-evaluate the structure. Certain areas within a piece of text draw the eye in more than others. I ensure that important information is listed where it will be seen and in a style that is easily spotted by your visitors and the search engines. Different ways of using links around your own site can be used to give it a hierarchical structure of importance and to build relationships between topics. I apply internal linking to weight your pages and add value to any important subpages within your site. The Meta information is not seen on your site by your visitors but is programmed into the backend of your website to appear in the search results. I write descriptive, keyword-optimised page titles and meta descriptions to encourage visitors to click through to your site. Duplicate content involves copying large sections of text from a website other than your own, but it also applies if you copy text between pages of your own site, such as repeating copy from your homepage on to your about page. This is one of the quickest ways to be hit with a Google penalty. I have invested in advanced technical software to scan all copy that’s been written against every other page published across the internet to prevent any duplication issues. Google loves fresh content! It’s important once you have a well-ranking website not to sit back and presume your work is done. If your competitors are updating their sites, and if other sites are linking to them, you will, unfortunately, start to slip back down the rankings. The final stage in my SEO copywriting process, which is entirely optional, is to discuss content marketing strategies to keep your website ranking well long into the future.